Anytime a death occurs in a family, one of the first concerns is for the children, especially if the child had a close relationship with the deceased. There are many questions people ask concerning their grieving children. We have listed 10 of the most frequently asked questions with a helpful response for each. If your question is not answered here, or if you would like to know more, please feel free to contact us by calling (302) 999-8277 or by e-mail at bereavement@dohertyfh.com. Should My Children Attend The Funeral/Memorial? There is no yes or no answer to this question that can be applied to every child in every situation. It is best to involve children in making that decision. Explain what to expect at the funeral and allow children to decide if they want to attend. Do not force children to go or not go against their will. "Allowing choice is the most important issue for children during the time of the funeral" (The Dougy Center, 1999a, p.14). A. Attending and taking part in funerals can help children (as it does adults) with their grief process. B. The younger the child, the more difficult it will be for him or her to sit quietly during a funeral or memorial service. If you feel it is best for the child to attend, you may consider asking a friend to look after your child during the services. This will free the family to focus on the services without being distracted by the child if he or she should want to leave and will provide the child with a caring adult who can care for his or her needs. C. A good option is to bring a child early to the viewing or funeral, when the rest of the immediate family arrives. This allows the child to take part and say good-bye to the deceased, yet in a more private setting. Younger children may then be taken home under the supervision of a caring adult if that seems best. D. It is a good idea to encourage children to write a good-bye letter to the deceased, whether they attend the services or not. E. If children choose not to attend, help them create a "good-bye" that is comfortable for them (The Dougy Center, 1999a, p.13). F. After the event, parents and other significant adults in the child's life, "should be available to discuss with the child his or her reactions or feelings, answer any questions that might arise, and share their own responses to what has taken place" (Corr, Nabe, & Corr, 2003, p.334). How Can I Help My Grieving Children? A. Be A Good Observer. 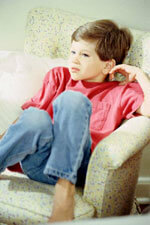 We can tell a lot about how a child might be feeling by his or her behavior. B. Be Patient. Children do not grieve like adults. We need to be patient and understanding of their many repeated questions, and other childlike behaviors. C. Be Honest. "Don't lie to children about death. They need to know that it's permanent and irreversible. Don't use euphemisms that cloud these facts. Use simple and direct language" (Wolfelt, 1994). D. Be Available. Children find comfort and security in knowing that an adult cares enough to take the time to listen to them, support them, and love them. E. Listen. Show that you care enough to listen. Listening is the most loving thing we can do for a child. Really listen. "Usually it is more helpful to ask exploring questions than to supply cookie-cutter answers" (Wolfelt, 1994). Should I Let My Child View The Body Of The Deceased? A. The child had a close relationship with the deceased. If a child did not have a close relationship with the deceased, there is little reason to view the body. However, teenagers may come in order to express their support to the family. B. The child has been told what to expect. It is paramount that a child be told what to expect before coming to view the body. Who will be there? Why are we doing this? What will the body look like and feel like? What is a casket? C. The child still wants to view the body. Do not force a child to view the body of a deceased loved one. The decision is the child's and it is important that you support that decision. D. The child will be accompanied by an adult. A parent or guardian should go with the child to view the body together. This will provide the child the security and comfort he or she needs. E. The child will be free to express any emotion or concern. Do not try to stop the child from crying, asking questions, touching the body, or expressing any emotion. It is important for the child to feel free to express any of his or her feelings openly without being "hushed". F. A caring adult will be available to talk with the child afterward. It is important to ask children about their reactions and feelings after viewing the body of someone they love. Telling them how you feel will also help. How Do I Explain Burial To My Child? A. Use Simple, Concrete Language To Describe What Happens At Burial. Use age-appropriate words and concepts the child will understand. B. Children May Be Concerned About The Body Getting Hurt. You can explain that the person's body has stopped working and does not breathe, hear, see, or feel anything any more. C. Talk About The Differences Between "The Person" and "The Body". It is difficult for children to make this distinction, but it is important. Explain that a person's body is just a shell. The body stops working and is buried. The person does not need the body anymore. Children ask lots of questions and will ask them repeatedly. Be patient and answer only what is asked simply and truthfully. E. Talk About Burial Practices The Child Will Witness. The cultural and religious significance of what will be said and done at the burial is important. Your child should have a basic understanding of this in order to better understand what is happening. F. Allow Your Child To Make His Own Choice About Attending The Burial. After he has been given the appropriate information, allow your child to decide for himself if he wants to attend the burial. Do not force him to go or not go against his will. Support his decision. It is best for the child. G. Invite Your Child To Help At The Gravesite. Involve your child in selecting a gravesite. Let him help plant or select flowers to be placed at the grave. Involve your child in visits to the grave on special days. 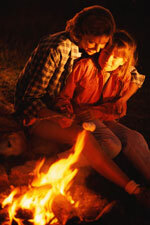 How Do I Explain Cremation To A Child? Children need adults to be clear and honest with them. This is especially true when talking about death related topics like cremation. The Dougy Center For Grieving Children suggests this standard explanation, provided below. You can tailor it to suit your child's age and language ability, along with the level of detail you feel is appropriate. First the body is placed in a cardboard or wood container. The container is put in a large oven, called a retort, for one to three hours and heated to a temperature of 1600 degrees. The heat reduces the body to small pieces of bone. These pieces of bone are then ground into a powder substance we call the cremated remains. The cremated remains weigh about three to seven pounds. Usually they are put in a small cardboard box or an urn. The cremated remains are then either kept by someone in the family, buried or placed in a wall columbarium at a cemetery, or scattered in some special place. Honesty is most important when talking with children and teenagers. B. Use clear, and concrete language. The younger the child, the more concrete you will need to be. C. Expect and welcome many questions. Greet each question with acceptance and a factual, clear, and concise answer. D. Avoid using some words. It is best not to say "the body is put into the fire", or "the body is burned". These words can bring disturbing images to a child. E. Invite the child to help make some decisions. Allowing a child to help make decisions like choosing an urn, or where the urn is to be placed, is very beneficial in his or her grief process. F. Invite the child to see or hold the cremated remains. This will dispel many false notions in the child's mind and help the child accept the finality and permanence of the death. Should I Let My Children See Me Grieve? Yes, it is healthy to let your child see you grieve. When a close family member dies, it is not only an individual loss for each family member, it is also a loss to the entire family unit. There may be times when you will need to grieve alone and cry, or scream out loud, and that is important. However, it is just as important to grieve as a family. Children learn how to grieve from the adults in their lives. That is one reason why it is important to be completely honest with our children concerning death and our grief. Allowing yourself to take down your "I have to be strong" mask and being open with your children about how you feel will do both of you a lot of good. Let your children see you cry so they know that it is OK to be sad. It is OK to cry. It will give them reassurance that it is normal for them to feel the same way. In addition, if you talk to you children about your feelings you will create a strong bonding experience. Your child will be more likely to share deep and personal feelings. 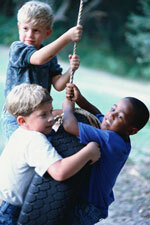 Your child will feel more secure because you have created a more trusting environment. Your child will be empowered to explore more difficult feelings and therefore progress in his or her grief process in a healthy manner. Why Is My Child Grieving Like That? First, children grieve differently than adults. In his book, A Child's View Of Grief, Dr. Alan Wolfelt, Ph.D. makes this challenge: "Rather than prescribing what their grief experiences should be, parents and other caring adults must allow children to be the teachers" (Wolfelt, 1991, p.11). In other words, we should not expect children to grieve like adults, but we should learn from them what it's like to grieve like a child. Second, there are several factors that help determine how a child will grieve a particular loss. Understanding these factors will help the caring adult to answer this important question. In addition to the child age and development, The Dougy Center For Grieving Children lists these "Influences On How Children Cope With Death" (Dougy Center, 1997, pp. 19-21). The nature of the death. How a death occurs will affect how a child grieves. For example, was the death expected or unexpected? The response of the parent or parents. The more relaxed you are, the more relaxed your child will be. 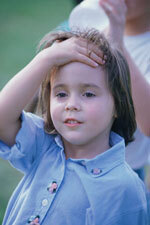 If you are anxious and upset, your child is likely to be anxious and upset also. A child who has experienced the death of a pet or other family members will respond differently than a child who has not experienced any previous death. Support systems within and outside the immediate family. The amount of support a child has inside and outside the home will greatly influence how that child will cope with death. Keeping a child's routine as consistent and as "normal" as possible will help that child cope with death. Maintaining a consistency in caregivers is also important. How Can I Best Understand The Grief Process Of Children? The term "grief process" is generally used to describe "mourning". Mourning can be understood as "the process of attempting to cope or learn to live with loss and grief" (Corr, Nabe, & Corr, 2003, p. 323). Dr. J. William Worden has promoted the idea of "The Tasks Of Mourning" (Worden, 2002, pp.26-37). These are tasks for the mourner to accomplish in order to adapt to one's loss and changed life. Task 1: "To Accept The Reality Of The Death." The bereaved person understands that the death has occurred, and that it is irreversible. Task 2: "To Work Through The Pain Of Grief." Grief brings with it many strong and mixed feelings. It is important to allow those feelings rather than push them away. Task 3: "To Adjust To Everyday Life Without The Deceased." There are many daily adjustments that a child and a family will need to make. Task 4: "Moving On In Life While Staying Connected With The Deceased." Finding a new "normal way of life", which includes fashioning a changed relationship with the deceased. These tasks are considered important in any griever's life, regardless of age. However, they are sometimes made more difficult for children. Death will tend to bring confusion to children, and a fear for their own well-being. All the more reason for the adults in their lives to be loving, understanding, and accepting. These tasks do not follow an orderly and predictable time frame or sequence. Children are likely to continue working on them throughout their lives. Is My Teenager Grieving Normally? It is difficult to concentrate during the early months of the grieving process. People commonly feel like they are in a fog. Parents Can Help: Talk to your teen's teachers and see if they can modify his or her assignments for at least a few months. A tutor or friend may help studying also. Even though crying is one of the most common reactions to death, do not assume your teenager will or will not cry. Every person is different. Parents Can Help: Allow teenagers to feel safe to express any emotion. Be nonjudgmental and supportive. A teen may lose his or her appetite. This is normal. However, an eating problem during the grief process can develop into more serious eating disorders. Parents Can Help: Notice unusual behaviors in your teen's use of food such as: unwillingness to eat, withdrawal at meal times, bloodshot eyes, vomiting, preoccupation with losing weight, and thinning of the cheeks. "Nightmares and dreams about the deceased are typical after a loss" (Dougy Center 1999b, p.20). However, it is important to be aware of frequent loss of sleep. Parents Can Help: You might ask: "Would you like me to leave you alone, or come sit with you? "; "Do you want your light on or off? "; or "Would you like to tell me about it, or not?" There are many physical reactions that are considered normal during grief. Sometimes headaches, anxiety, insomnia, and digestive problems can become prolonged. Parents Can Help: If symptoms persist, seek medical advice. Allowing teenagers to talk freely about their grief and the deceased can also help a great deal. Engaging in sports, various video and board games, movies, and hobbies can be healthy ways for teenagers to express their grief. 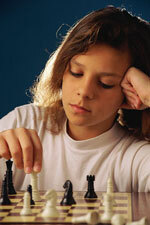 Parents Can Help: Be supportive and play some games or plan special outings with your teen. 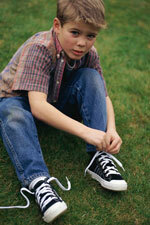 Reverting to younger behaviors can be a common grief behavior for children of all ages. Parents Can Help: Notice if your teen clings to people, becomes clumsy or timid, begins bed-wetting, stuttering, or playing immaturely. These are common and are no need of alarm unless they persist, in which case you should seek medical advice or counseling. Death is many times "unfair" or "out of the proper order". This can cause teenagers to question core beliefs they once took for granted. Parents Can Help: Listen without talking. Allow anything to come out of their mouths without passing judgment. Even though it is common for teens to talk about joining the deceased and wishing they were dead, do not take it lightly. Parents Can Help: Ask the teenager directly if he or she has plans to take his or her own life. It is best to err on the side of caution in this case. "Not all young people who talk about suicide act on it, but most who complete suicide have talked about it with someone" (Dougy Center, 1999b. P. 23). How Can I Help My Grieving Teenager? Adolescence is a difficult time. Add the death of a close family member or friend to the equation, and your teenager can become withdrawn, involved with risky behavior, and depressed. Even close family members may not realize their teen is suffering (Baker & Sedney, 1996, pp.118-119). The Dougy Center For Grieving Children provides the following advice for parents of grieving teenagers (Dougy Center, 1999b, pp. 45-46). "Act like a consultant to your teen: ask questions, listen to explanations, and offer choices." "Listen, listen, and listen before speaking." "Demonstrate that you trust yourself and your teen." "Discuss important decisions and explain them to your teen." "Problem-solve together, considering many options." "Allow your teen to experience the rewards and consequences of choices and behavior." "Offer advice and options if the teen wants to hear them." "Empathize with your teen about the death, but make it clear that appropriate behavior is still expected." "Avoid the temptation to over-protect your teens, or rescue them from the consequences of their behavior." You can also contact Supporting Kidds: The Center for Grieving Children and Their Families. Located right here in the Wilmington area, Supporting Kidds provides bereavement support for children and adults, special events, and community educational programs. If you have questions regarding children and grief, the professional and volunteer staff of Supporting Kidds can be reached by calling (302) 235-5544 or on-line at www.supportingkidds.org. Baker, J. E. & Sedney, M. A. (1996). 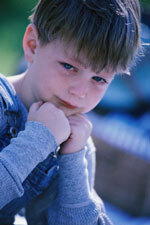 How bereaved children cope with loss: An overview. In Corr, C. A. & Corr, D. M. (Eds. ), Handbook of childhood death and bereavement (pp. 109-129). New York: Springer Publishing Company. Wolfelt, A. (1994). 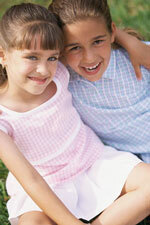 Helping bereaved siblings heal. Batesville, In: Batesville Management Services. Worden, J. W. (2002). Grief counseling and grief therapy: A handbook for the mental health practitioner (3rd. Ed.). New York: Springer Publishing Company.